Do you know what can go in your blue recycling bin? Chances are, you can recycle more than you think. The City of Columbia accepts aluminum, phone books, cardboard, cartons, paper, paperboard and plastic containers in your curbside bin. Please note that, by law, household electronics cannot be disposed of in the trash; they must be recycled! For more information about what can be recycled, see the image below or visit the City’s recycling website. 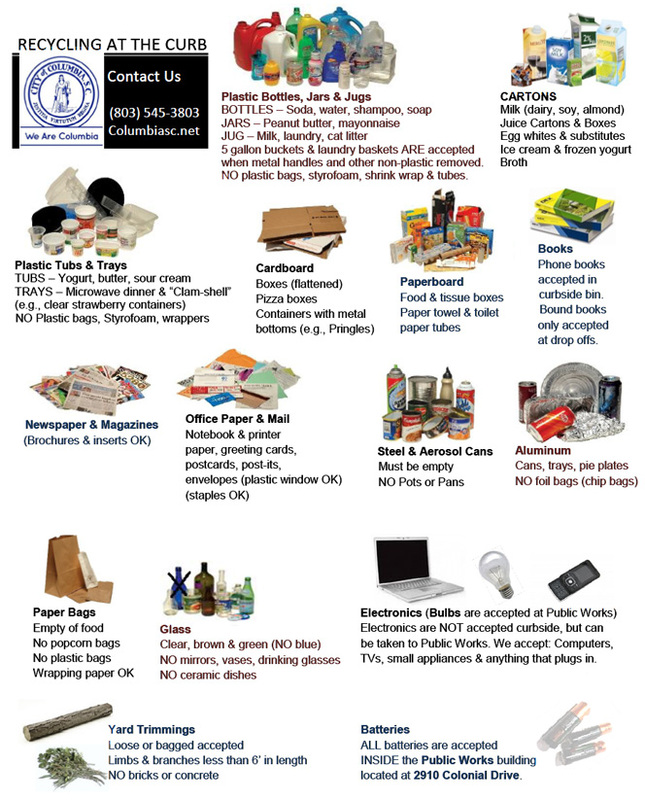 Click here to download a printable PDF of recyclable materials.